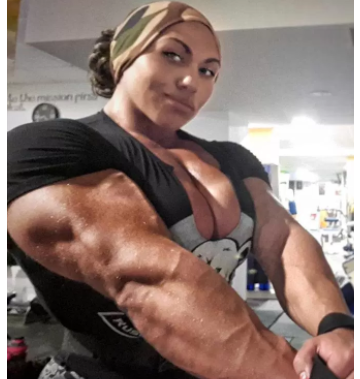 I am not going to lie, I thought for sure these photos of Natalia Kuznetsova were totally fake but we did track down a few videos of this specimen in action in her natural habitat and she is a very real champion in the bodybuilding world - This woman is amazing! Not only should Russia be proud, but the humans of planet earth. If we are ever visited by little grey aliens, I believe Natalia should be our planetary ambassador.